The Pack plans the main events for the coming school year in August. Please look for updates at the end of August. 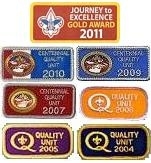 New scouts can join us for all of the events from June 1st onward.